Electrical connections in the toaster oven/broilers can become loose, posing electrical shock and burn hazards. Haier America has received two reports of minor burns and one report of a minor electrical shock to consumers, and one report of minor property damage. Mass merchandisers and specialty retailers nationwide from September 2006 through January 2009 for approximately $20 to $40. Consumers should immediately stop using the recalled toaster oven/broilers and contact Haier America to receive a partial refund. For additional information, contact Haier America at (877) 337-3639 anytime, or visit the firm’s Web site at www.haierappliances.com. This recall involves toaster oven/broilers with model number RTO1400SS. The units are stainless steel and black plastic. 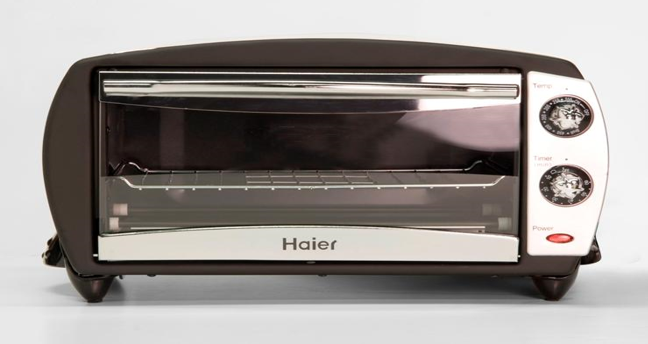 “Haier” is printed on the front and the model number is printed on a label on the back of the toaster oven/broilers.